This article is also published on our MEDDIC Academy blog. We have never been as worried or pessimistic as today about our economy’s ability to create new jobs faster than others vanish. Every week, we see new articles based on new studies that tell us that self-driving cars are going to push all professional drivers out of a job within five years. They reason that, since the number of self-driving car programmers is much smaller than the number of drivers, this is a huge net negative for the total number of jobs. Using that same reasoning, they tell us that AI is going even to exterminate the jobs of computer programmers themselves. They even tell us that there will be no more work left for farmers. As the MIT Technology Review points out, no one agrees on what will happen. So, as a consequence, everyone, or at least almost everyone, is going to be wrong. Thanks to new and disruptive products and services, we keep creating new jobs before the previous innovation had time to effectively kill jobs. 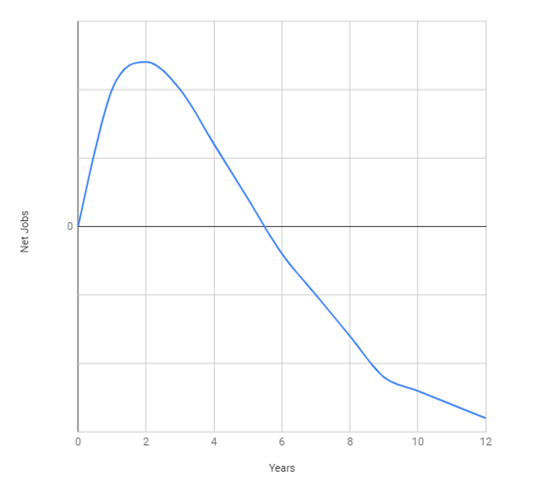 Each cycle starts with a positive net balance of jobs, which is the difference between created jobs and killed jobs, before ending in the negative zone. As an example, when John Deere built the latest Combine Harvester, together with their resellers and service network, they employed thousands of people in engineering, manufacturing, sales, and services for three to five years before they started to kill the first job. Or, if we look at the self-driving cars net jobs cycle, they have already created jobs at Google, Tesla, Uber, and many others. They will keep creating jobs before they start to kill the first driver job in the coming years. Now, while the cycle takes place, we don’t sit down and wait for the end of the cycle; we start a new cycle before the end of the previous cycle. We didn’t wait until the end of the IoT cycle before starting to work on self-driving cars. The disappearance of old jobs takes time, while the job creation from a new disrupting technology is immediate. Massive amounts of capital are available to invest in new technology. Right now, we are investing billions in AI, thus creating a large number of jobs. Yet the impact on these new industries where we should supposedly see jobs disappear will only show up in a few years. It is true that, for a given automated task, in a 20 years analysis, we will need fewer people to do that task than before, but, due to the entrepreneurial tendency to leap forward, we are not going to sit down and wait for that balance to happen. We are going to move to the next “problem.” We are going to solve it and create new jobs there. And we’ll keep doing this to no foreseeable end. Of course, in the meantime, society has time to adapt to these changes. We have time to shift our education training methods, especially for the younger generation who hit the job market with a response to these new demands before we hit the bottom of the cycle. We miss this key point each and every time that we predict that end of employment as we know it. It’s funny that we forget this too! We’ve been saying this refrain since early 80’s, and we have since accelerated our pace of replacing harsh and tedious jobs with jobs that require education. Plus, despite the fact that baby-boomers have not yet retired, our economies still create more jobs than they kill. Sometimes, disruption happens extremely quickly. For instance, I got my first digital camera in 1998, while everyone else was still using film cameras. By 2005, however, the disruption took place. By then, it was already hard to find a store that sold camera film. This revolution happened in less than 10 years. Canon was a pioneer in the space, and they are still alive, although they now fight against another disruption, Kodak missed the train and quickly died. On the other hand, sometimes, the change is slower. There are still some administrations who use a fax number. There are also some jobs, such as phone dispatchers or travel agents, which were supposed to have disappeared over a decade or two ago, but they are still there. Sometimes, our predictions are dead wrong. Since the late 1980’s we predicted that thanks to electronic communications, we would soon reduce our consumption of paper. As of 2018, that has not yet happened, and it may actually never happen. The world’s paper production and consumption of paper actually keep growing! A related prediction was that eBooks would replace paper books. Yet, as of today, there’s no evidence that paper books consumption will reduce in a foreseeable future. The unknown is always a source of anxiety. The uncertain future makes us worry. But our fears are not really justified; the future is beautiful. Let’s take it easy and enjoy living in this unique time in human history. The actual trend, as we know it for a fact, is that unemployment rate is decreasing and many think we are actually getting close to zero (NB. unemployment rate, by definition, can’t be negative. Negative unemployment intuitively refers to a situation when open positions can’t be filled during a long period of time). Even though labor-intensive jobs and those not requiring decision making are more at risk, jobs requiring soft skills such as Sales are going to be valued more and more. The reason being they are not automatable. At least not any time soon. Skills such as great pertinent communication, positive attitude, empathy, confidence, trust, are among soft skills, found in almost any good salesperson, that AI has a hard time to deal with. Sales was the first human job and is going to be the last one to be automated. Especially the sophisticated high-end complex Enterprise sales, like those relevant to MEDDIC. 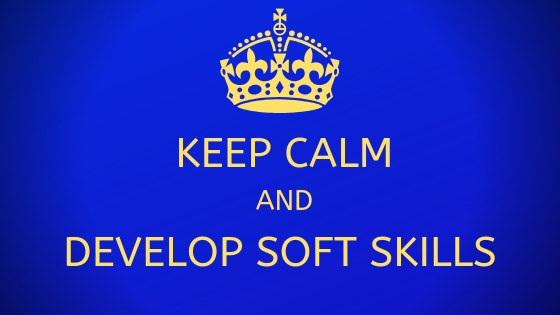 So take every opportunity to develop your soft skills, your sales skills and your MEDDIC Skills and enjoy success.